This blog caps a series over the fall and winter that I hope left you with a deeper understanding of the work we do in environmental education, water, and climate and energy. I heard from many of you that you wanted to know more about our young foundation, and I hope that these short tours through each of our programs provide anyone who is interested with more grounding about our work. I firmly believe that the times we live in require purposeful connection, shared priorities, and scaled action to enable us to achieve even more of our environmental goals. We are deepening our focus on these critical elements of our collective success. 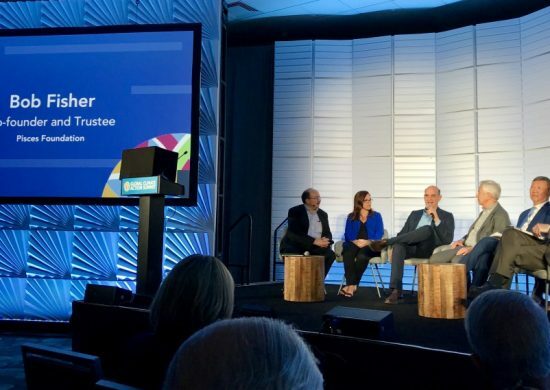 Sharing more about our own work and partnerships, I hope, is a modest but important step in forging connection. We are doing this in a few ways. We just concluded our first-ever grantee convenings. 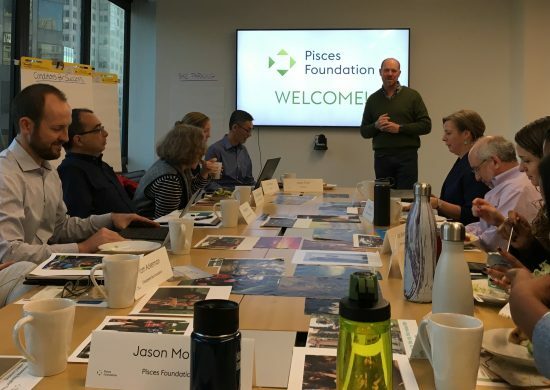 During February and March, our foundation brought together nearly 90 grantees from across the U.S., India, Europe, and Asia in meetings organized around each of our program themes. We did some work together, learned together—and had some fun together. Our team and I shared our program goals, the values that animate our foundation, and a new commitment to grantees. 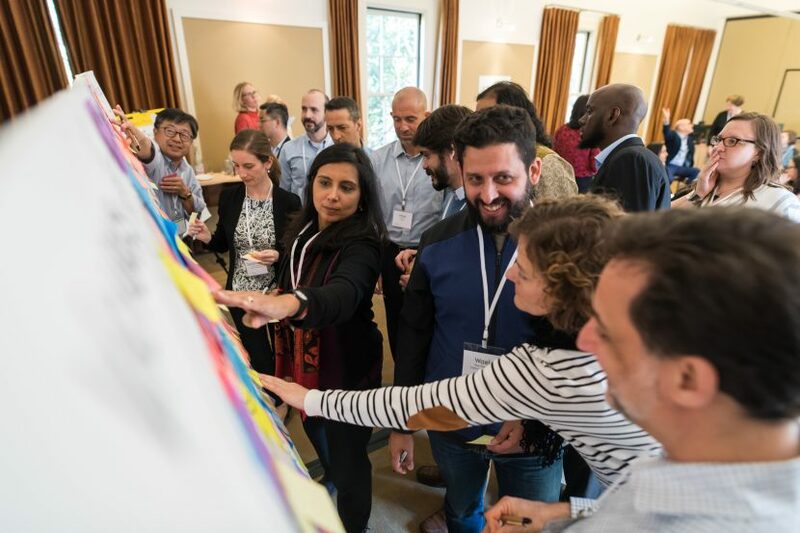 We worked together to tackle hard questions in a systems thinking workshop, with the collaboration of the Garfield Foundation’s Ruth Rominger and Rachel Sinha from The Systems Studio. We all had the opportunity to forge new connections and deepen existing relationships. We spent the winter building a website that has more depth and provides greater insight into our programs, methods, and goals. Through the information presented, our intention was to create a website that will serve as a springboard to partnership. You can now find more on why, how, and where we fund work, the partnerships we have established, and links to the important efforts of others. 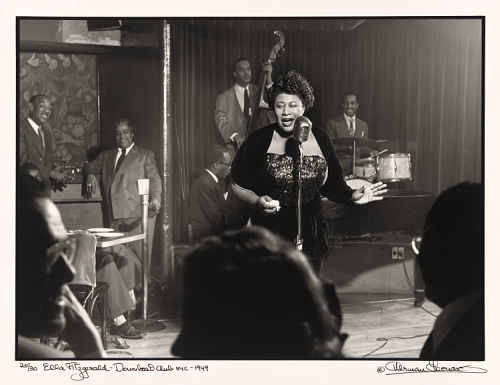 Check out our new searchable grantee database, where you can find grants by subject, organization, amount, and other criteria. Our website also presents our organizational values and contains a new commitment to grant applicants and recipients. This commitment reflects our keen awareness that the success of our work depends on others. We want to ensure that those who interact with our foundation find the experience supportive, respectful, efficient, and clear. 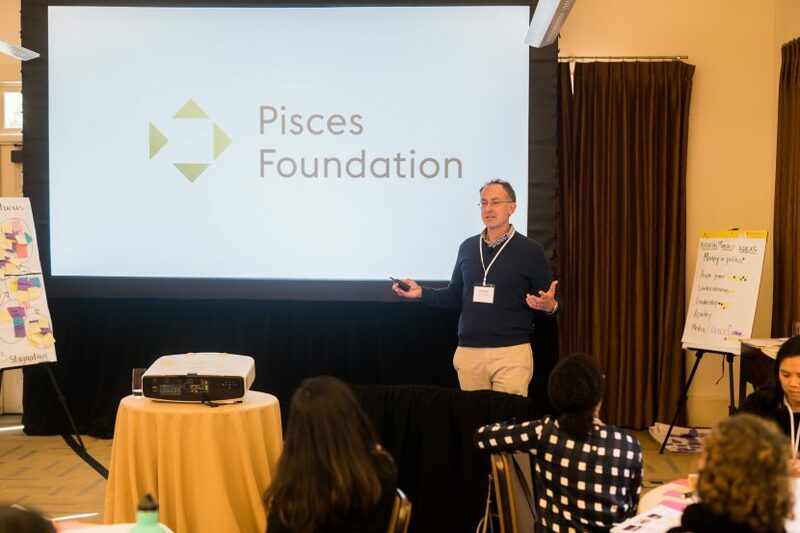 This winter, we also developed a new look and logo for the Pisces Foundation. We think we’ve come up with a logo that conveys the essence of our organization: open, collaborative, and willing to explore uncharted territory, think outside the box—and engage with others who are doing the same. With partners, we are also making progress in an effort I discussed in my blog last September—an initiative we’ve named Mosaic. Mosaic is an emerging effort to support the environmental field in achieving even more of its goals by reinforcing the critical infrastructure all movements need to be successful. Over the past year, Mosaic has engaged over 50 diverse nonprofits and funders to identify ways in which we could strengthen connections, shared goals, and scaled action. Based on input and needs identified by the field, Mosaic is already taking action on a set of early investments to strengthen our shared work. For Mosaic to be successful, we need to be co-generative, collaborative, and learn from the expertise and experience of others. We are continuing to reach out to the field to ensure Mosaic builds on existing efforts and for help thinking concretely about what it will take to amplify efforts across the environmental movement. Given the urgency of all our work, communicating is more important than ever. But more than communication, dialogue is even more essential. Dialogue only works when others are engaged. I invite you email me or any of the Pisces team to continue this dialogue. There is no better time. What Don’t I Know—and How Do I Learn It?